With all the emailing and text it seems no one really used the Old Fashion way of contacting those far away. Sometimes I wonder if the card crafters are the ones that keep the Post Office open. For this challenge I created this cute Shaped Snail Card by making a copy of the snail and welding the 2 of them together at the top. Then adhering the 3rd to the front. Added the elements. Printed the sentiment inside using the print feature. Hi Nana!! This is so adorable!! I love the sentiment on the inside too!! :) What a fun card!! So excited to be part of the team!! Look at the adorable little snail!!! Anyone would love to receive that cutie!! Fabulous card Nana!! Hugs!! Your snail is so cute! Love the droopy eyes and bow. Really cute card, love the little spotty bow it is adorable. What a fun shape card! This card evokes a soft, lazy, easy going feeling just looking at it. Way to go! such a cute card Nana!! This is so cute! I just love her bow! This card is ADORABLE!! Love it!! Have a great day. What a really cute card Nana - I love her "come hither" eyes! Thanks for the step by step info which will be really helpful when I come to try my card. 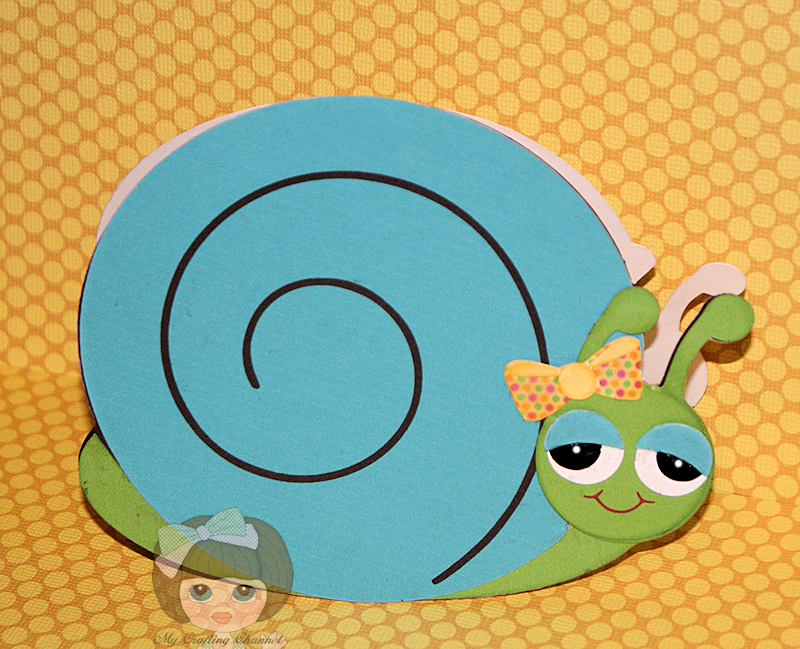 A TOTALLY cute and Fun snail card!!! Love the snail and what a fab sentiment! This card is such an adorable card.